Elite Dangerous: Horizons is the new season of major gameplay expansions for the award-winning space epic Elite Dangerous, beginning today with Planetary Landingson 1:1 scale worlds throughout the Milky Way. Elite Dangerous: Horizons will introduce further major gameplay features as the season continues into 2016, enriching the Elite Dangerous experience with new activities and new ways to play. Frontier has also launched Elite Dangerous 1.5: Ships – a free update for all Elite Dangerous players on PC, Mac and Xbox One – adding over 300 improvements including new spacecraft, new missions and SteamVR support. Elite Dangerous and Elite Dangerous: Horizons are fully back and forward compatible with each other. All players will retain their in-game progress and continue to fly together in the same galaxy as one community, and all Elite Dangerous players will continue to receive free updates, fixes and optimizations. Elite Dangerous 1.5: Ships is a major free automatic update for all Elite Dangerousplayers on PC, Mac and Xbox One. The number of playable ships in the game increases to 30, headlining an update featuring over 300 changes including new missions and scenarios, Spanish-language localization, an in-game store, full compatibility with Elite Dangerous: Horizons and SteamVR support. The HTC Vive virtual reality headset will be available to consumers in 2016, and Elite Dangerous will support Vive on PC from launch via today’s free update. SteamVR support in Elite Dangerous marks the latest step in Frontier Developments’ ongoing commitment to immersive, high resolution virtual reality experiences. Elite Dangerous: Horizons is available now on FrontierStore.net and Steam for £39.99 (€49.99, $59.99), with full access to every Elite Dangerous: Horizons expansion for just one price. Existing Elite Dangerous players who purchase Elite Dangerous: Horizons on FrontierStore.net or Steam during the ‘Early Access’ period will receive a £10 (€14, $15) loyalty discount off the retail price and will unlock the exclusive ‘Cobra Mk IV’ spacecraft in Elite Dangerous: Horizons, bringing the number of playable ships to 31. Elite Dangerous: Horizons is framed as an ‘Early Access’ title on FrontierStore.net and on Steam, expressly highlighting the living development and two-way relationship between Frontier and the Elite Dangerous community to the large number of recent and new players. Elite Dangerous: Horizons Beta access will remain on sale at £49.99 (€67.99, $74.99) on FrontierStore.net for players who wish to participate in beta tests for expansions released throughout Season Two. Elite Dangerous is in ongoing development and is available now for PC, Mac and Xbox One. Elite Dangerous: Horizons, the new season of gameplay expansions for Elite Dangerous is available now. 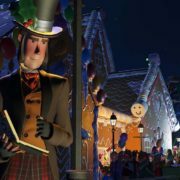 Frontier’s second major self-published PC title, Planet Coaster, is in development and will launch in 2016. 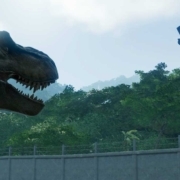 Other Frontier titles includeRollerCoaster Tycoon 3, Thrillville, LostWinds, Kinectimals, Kinect Disneyland Adventures, Zoo Tycoon, Tales from Deep Space and ScreamRide.